Information also available at http://www.pameganslaw. Due to the temperatures and length of the power outages in various portions of Bristol Township, the Bristol Township Senior Center located at the municipal complex, 2501 Bath Rd., will remain open until at least 10pm tonight as a warming shelter. Any resident wishing to remain in the shelter overnight, is asked to arrive before 10pm otherwise the shelter will be closed at that time. If you buy or sell goods using online sites like Craigslist, or classified ads placed online or in traditional media, you know that such transactions often involve meeting in person with the buyer or seller. This is fraught with risk. To assist our residents to stay safe, the Bristol Township Police Department is offering the parking lot near the police entrance of the building and the police lobby area as a “transaction safe place.” The police department is located at 2501 Bath Rd, Bristol, PA 19007. Both areas are monitored by cameras twenty-four (24) hours a day. Needless to say, the use of the police building parking lot and lobby serves as a deterrent for crime. This step by the Bristol Township Police Department is part of a locally growing trend. 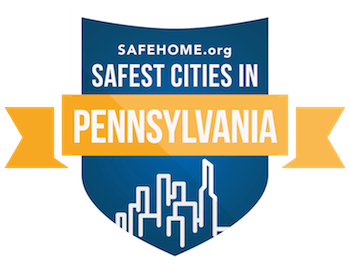 Police in Tullytown Borough, Philadelphia (any precinct station), Conshohocken, Abington, and Lansdale are among those offering their facilities for safe transactions. If you live in those areas, please check with your police departments for available times and days for the service. The Philadelphia Inquirer published a good article about this trend; see http://bit.ly/SafeShopping2015. Please share this information with your Facebook friends. If they don't live in Bristol Township, tell them to check with the police in their area to see if a similar program is available. Where to turn for help with drug and alcohol issues in Bucks County. Traffic problems plaguing your neighborhood? If you have an ongoing traffic problem in your neighborhood we would like to hear from you. You can now report these problems directly to the Bristol Township Police Department’s Traffic Safety Unit. Send us an email at traffic@bristoltownship.org. The information you provide will be kept anonymous if you wish. Someone from the Traffic Safety Unit will respond to you to discuss the problem and attempt to remedy it. This service is for ongoing problems occurring in your neighborhood. Do not use this e-mail for an incident that is currently occurring. Please call our non-emergency number at (215) 785-4040, or 911 if it is an emergency. Abandoned vehicles are increasingly becoming a problem in our neighborhoods. Bristol Township Police will be actively seeking out abandoned vehicles in our neighborhoods in order to clean up our streets. Vehicles left on the street as abandoned cause issues for street sweepers, plow trucks, trash trucks, mail vehicles, etc. They are also an eyesore for the rest of the neighborhood. If you have an abandoned vehicle in your neighborhood that you would like to report, please call our non-emergency number, (215) 785-4040, and give us the location and description of the vehicle. If you have questions about an abandoned vehicle, call (215) 785-4052. Please click here for more information and definitions. Fingerprint processing for NON-CRIMINAL matters is no longer available at police headquarters. Pennsylvania offers one-stop applicant fingerprint services at various local locations for a small fee. Please visit http://www.pa.cogentid.com to find a site near you. If you have information that could prevent a crime or offer a solution to a crime, please use our crime tips service. We have two options: You can call (215) 788-8289 or send e-mail to crimetips@btpolice.com. We do not need your name unless you want to provide it.